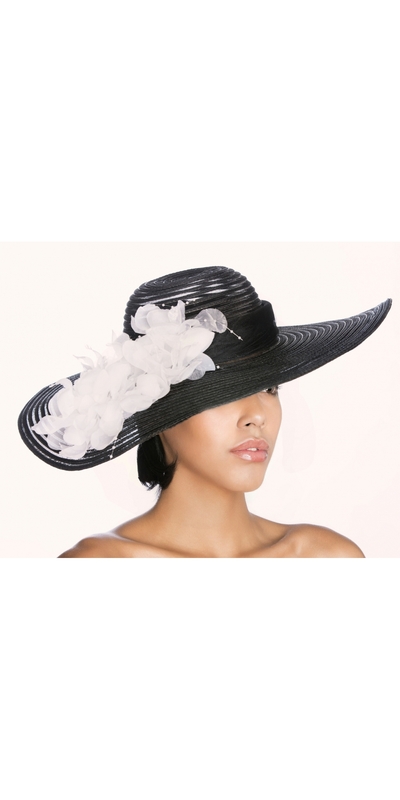 Polyester Peek-a-boo style hat with chiffon floral cluster. One size fits all. 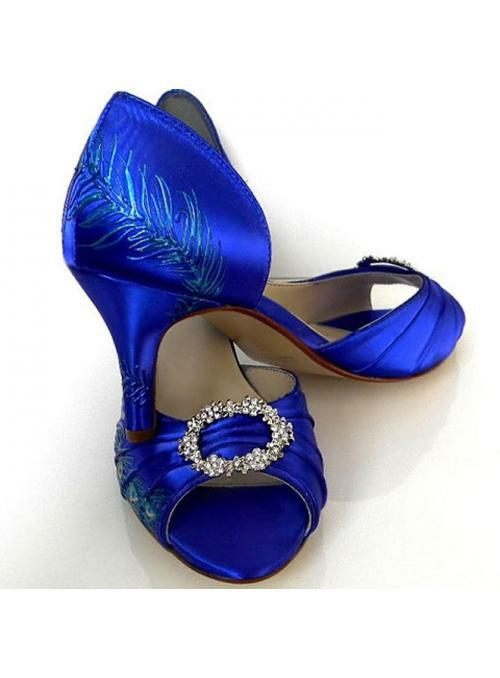 Beautiful design, selected lines. 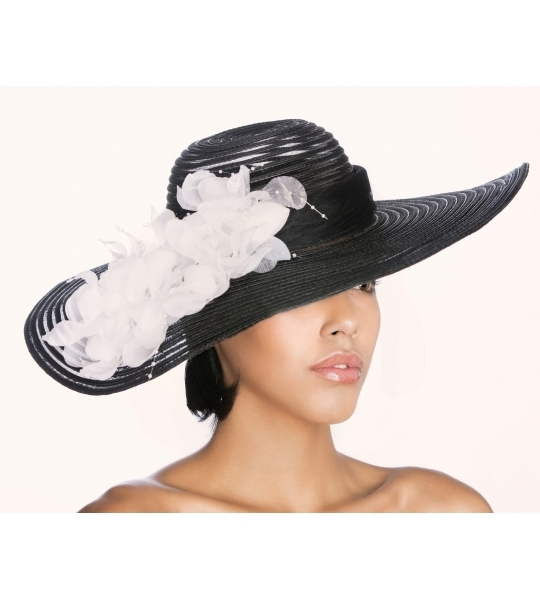 White chiffon flowers dramatically accent this black peek-a-boo hat affectionately called the Princess Polly Hat. 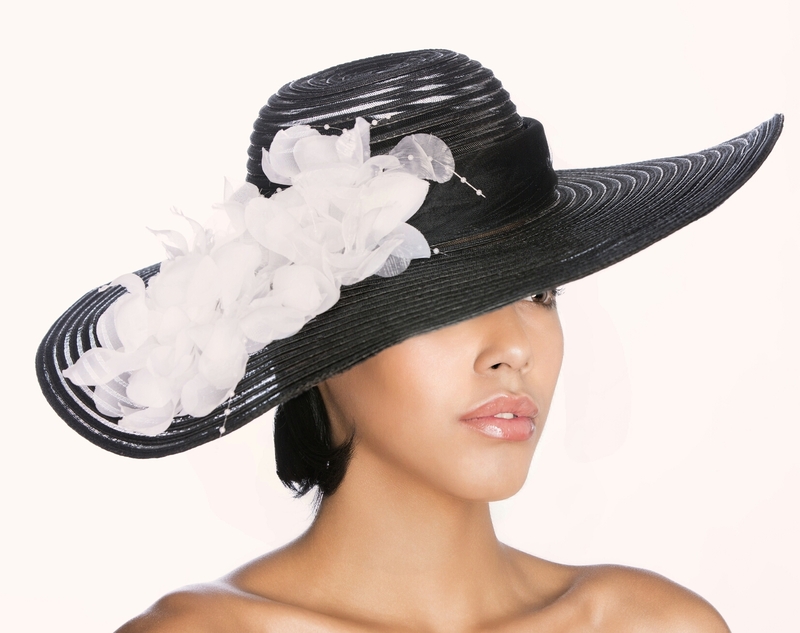 This design by Louisa Voisine would be perfect for weddings in the sun, the Kentucky Derby, or relaxing on the beach. 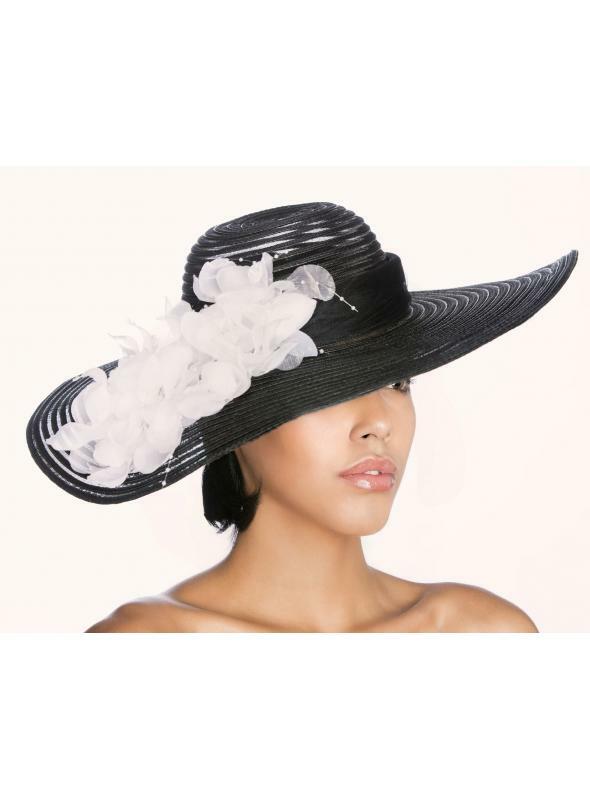 Feeling of pomp and class surround the wearers of this gorgeous hat.